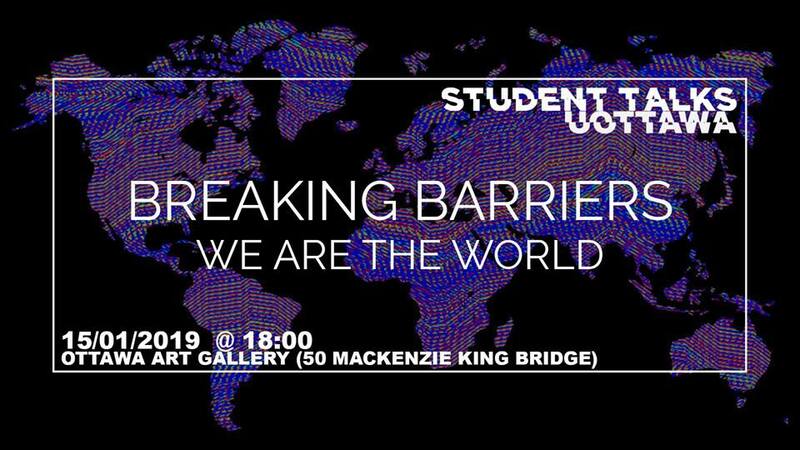 For the second year in a row, Telfer International and Student Talks come together to bring you Student Talks: Breaking Barriers. Come on out and follow five very different individuals and their captivating stories on exactly how they managed to break barriers all around the world. Whether they’re an international student trying to make their mark in a brand new country, a Canadian native trying to make relations abroad, or an immigrant struggling with identity and figuring out how to define themselves, they have all struggled and eventually hurdled the obstacles in their way. Student Talks gives students the opportunity to share their stories and inspire others along the way. Each talk is always emphasized with a powerful message that at least one person can take with them and give them the confidence to live their lives to the best of their ability. Join us January 15th at the OAG and witness an event like no other put on by the University of Ottawa! Make your mark and keep breaking barriers.